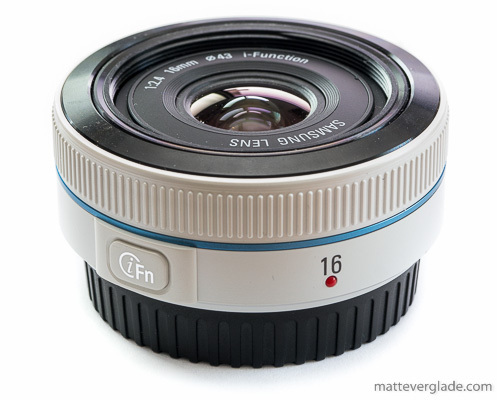 In this review I would like to share my experiences with the Samsung 16mm F2.4 Pancake lens. 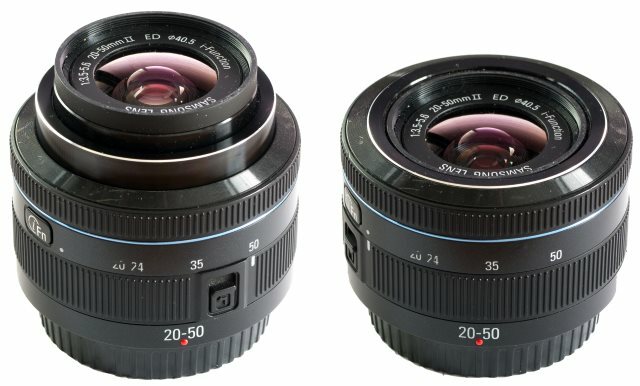 The lens can be bought for a recommended price of 349€. As it’s a pancake lens it’s really small (2,4cm depth, 43mm filter thread) and lightweight (only 75g). Optical image stabilisation (OIS) is not integrated. The lens is available in black, white and pink (sic!). You can find the most important aspects of this lenses specification in the NX lens overview or in the official technical specifications. In this review I would like to share my experiences with the Samsung 20-50mm F3.5-5.6 ED II. It was mostly sold as kit lens combined with the entry/midrange level cameras and is known to deliver an higher-than average image quality for this type of lens. I will check whether this lens really lives up to one’s reputation. The lens is also sold separately for a recommended price of 269€. In collapsed mode it is about one cm larger than the Samsung 16-50mm PZ and two and a half cm smaller than the Samsung 18-55mm. It is nearly as lightweight as the Samsung 16-50mm PZ. The lens doesn’t provide any image stabilisation (OIS). The filter thread has a diameter of 40.5mm, which is quite odd. You can find the most important aspects of this lenses specification in the NX lens overview or in the official technical specifications.